PING leverer godt golfutstyr. Nå har selskapet kommet med en ny G-serie. Spennende! Køllene er lettspilte. De blir presentert ulike varianter innenfor de ulike kølletypene. Eksempelvis kommer det nå tre nye drivere i G-serien. G Crossover er en kølle som er en mellomting mellom et jern og en hybridkølle. Det kommer en ny treer-spoon som kan brukes som en alternativ driver og en sterk fairway-kølle. Jernene går, i følge pressemeldingen både lengre og høyere, og ballene stopper fortere på greenen. 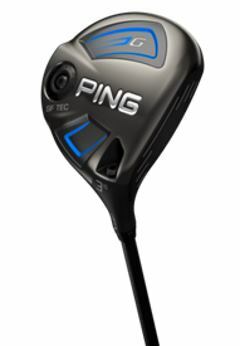 PHOENIX (January 11, 2016) – With a focus on providing maximum forgiveness with as much speed as possible, PING today introduced the new G series – the company’s latest game-changing innovations that will provide measurable performance gains without sacrificing any important attributes. 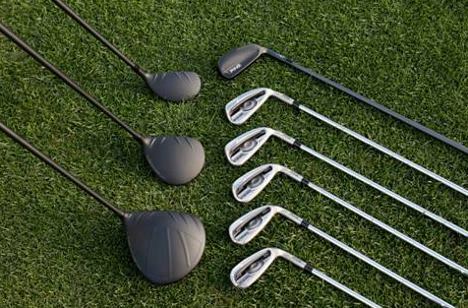 The new G range includes three driver options -- standard, SF Tec (Straight Flight Technology) and LS Tec (Low-Spin Technology) -- along with three fairway woods (standard, SF Tec and Stretch), hybrids and irons. PING has also announced the introduction of G Crossover, a new category of club designed to provide the distance of a hybrid with the control and accuracy of an iron. All new products can be pre-ordered beginning today at PING-authorised golf shops around the world. The most visible innovation on the G driver is the newly designed crown, which utilises Dragonfly Technology to enable mass to be redistributed low and back in the clubhead for optimal CG placement, making it both the longest and most forgiving PING driver ever. Inspired by the complex design of a dragonfly’s wings, the G driver’s crown utilises external weight-saving support structures and is both the lightest and thinnest that PING have ever manufactured. Also new to the G series is the Stretch 3; a larger headed driving 3-wood with a deeper, less-lofted face for golfers seeking a versatile driver alternative or hotter-faced fairway wood. Featuring all the same technological advancements that can be found in the regular G fairway woods (Carpenter 455 steel face, cascading sole design and a uniquely thin crown), the Stretch 3 provides increased ball speeds and less spin, leading to more distance and accuracy. The new G range of fairway woods also includes an SF Tec version which utilises a more heel-side centre of gravity in order to provide shot bend correction. The new G iron utilises the same revolutionary COR-Eye™ Technology found in GMax, with a deep CG providing more dynamic loft and a strategic approach to the distribution of weight in the heel, toe and hosel locations to provide unmatched forgiveness. Golfers will be able to benefit from increased distance with a higher max shot height and steeper landing angle so that shots hit and hold greens. Upgraded aesthetics include the contrast of a light satin blast finish and mirror polished back, as well as a clean hosel-to-shaft transition through the use of a ferrule. The new G series hybrids now also incorporate Turbulator Technology for improved ball capture and inspiration at address, with additional improvements including the use of Carpenter 455 steel in order to save weight in the face and crown, as well as a rougher face for higher friction and reduced spin. Through the use of Dragonfly Technology, a thinner crown enables weight to be re-allocated within the head to move the CG even lower and deeper to maximise the MOI for maximum forgiveness. As well as repositioned turbulators to further delay air flow separation prior to impact, the new G driver also features Vortec Technology which improves clubhead aerodynamics by minimising wake turbulence for faster clubhead speed and stability. A lower leading edge sits closer to the ground which raises the impact position on the face to make getting the ball airborne easier. The properties of the Carpenter 455 steel face allow for a thinner, variable-thickness face, which increases flexing at impact to deliver increased ball speeds and higher launch through improved roll-radius consistency. A new cascading sole design engages more of the structure at impact, resulting in a large springing effect for faster ball speeds. Like with the driver, a thinner crown means discretionary weight has been used to move the CG lower and further back, making it easier to get the ball airborne and launch it higher. Through a similar use of a cascading sole design and a Carpenter 455 steel face, the G hybrids enable more face flexing for increased ball speeds. Combined with un-painted grooves in the middle of the face, the addition of turbulators improves alignment and inspires confidence by providing improved ball capture at address. With its introduction defining an innovative new category, the G Crossover provides golfers the distance of a hybrid with the control and accuracy of an iron. An iron-style Carpenter 455 steel face coupled with a tiered internal sole maximises both trajectory control and distance, while extreme heel-toe weighting expands perimeter weighting to provide hybrid-like forgiveness. Featuring PING’s revolutionary COR-Eye™ Technology, the new G iron’s thinner face facilitates more flexing which results in additional carry with a higher max height for increased stopping power. The newly designed cavity structure houses the concealed Custom Tuning Port that connects to the sole, enabling each iron’s centre of gravity to be moved lower and further back for extreme forgiveness. Also new in the G iron is the Ascending Weight Technology (AWT) 2.0 shaft which provides improved distance and accuracy with long irons and more control with short irons and wedges.